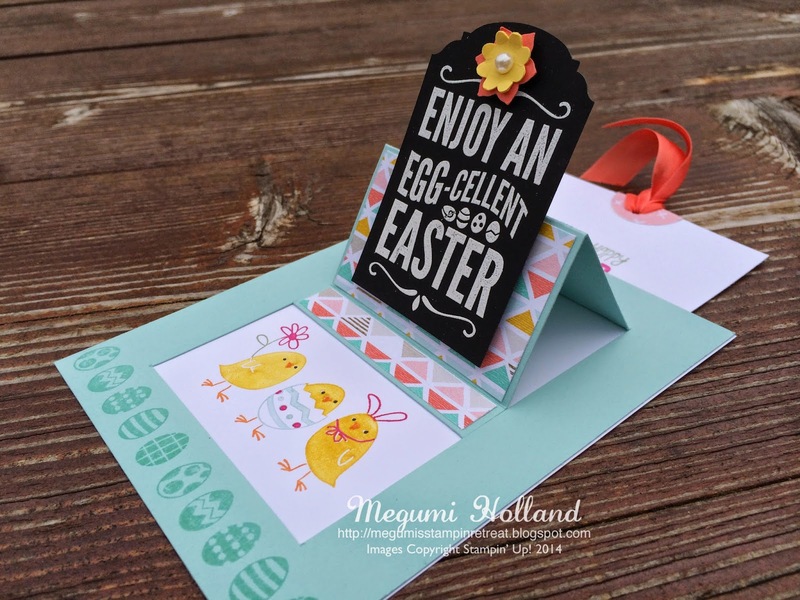 Here is a super cute Easter Pop Up Slider card we made at my Card Club workshops last month. Isn't it so cute??? It's fairly simple to make this card. 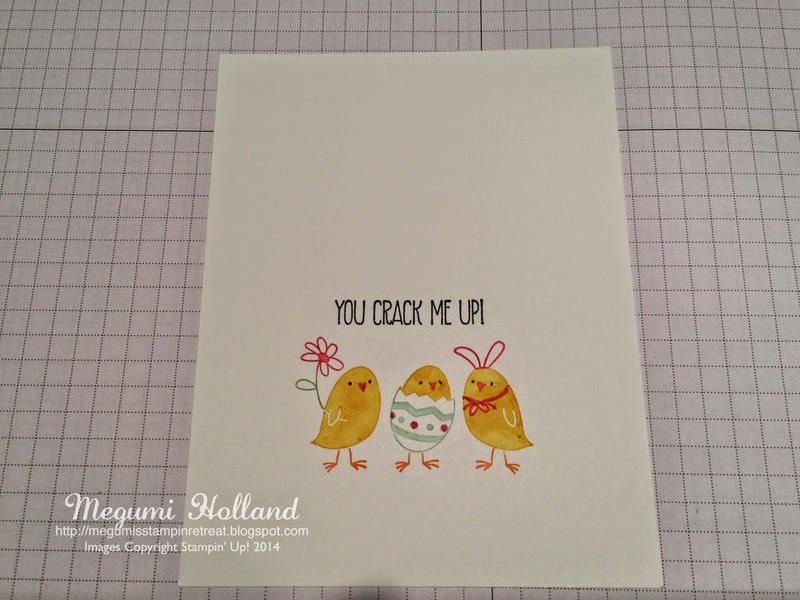 A few cuts and scores and you will make someone smile with this card for sure! Pool Party (front) - 4 1/4" x 5 1/2"
Whisper White (back) - 4 1/4" x 5 1/2"
Whisper White (slider) - 3 1/4" x 4 3/4"
Chalkboard Paper - 2" x 3 1/4"
DSP - 2 5/8" x 1 5/8" (2 pcs) & 2 5/8" x 3/8"
Place your Pool Party card stock vertically in your paper trimmer. Line it up with the 3 1/2" mark and cut from 3/4" to 4 3/4". 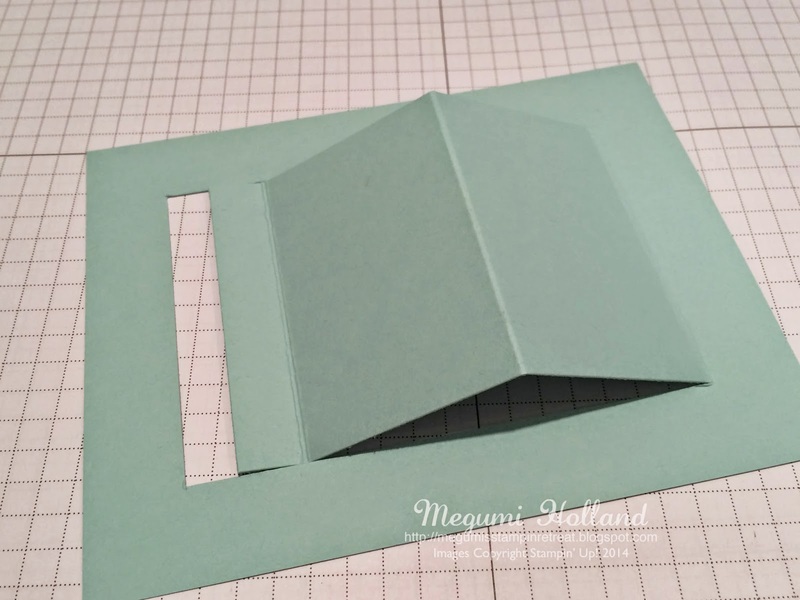 Take your card stock out and flip it around. Make the same cut on the other side. 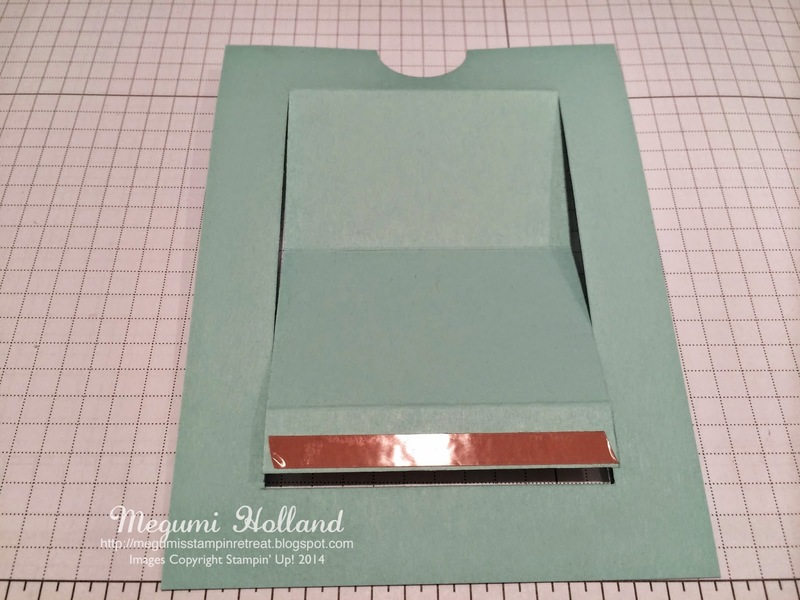 Take your card stock out and place it horizontally in your paper trimmer. Line it up with the 4 3/4" and score between those two cut lines (from 3/4" to 3 1/2"). 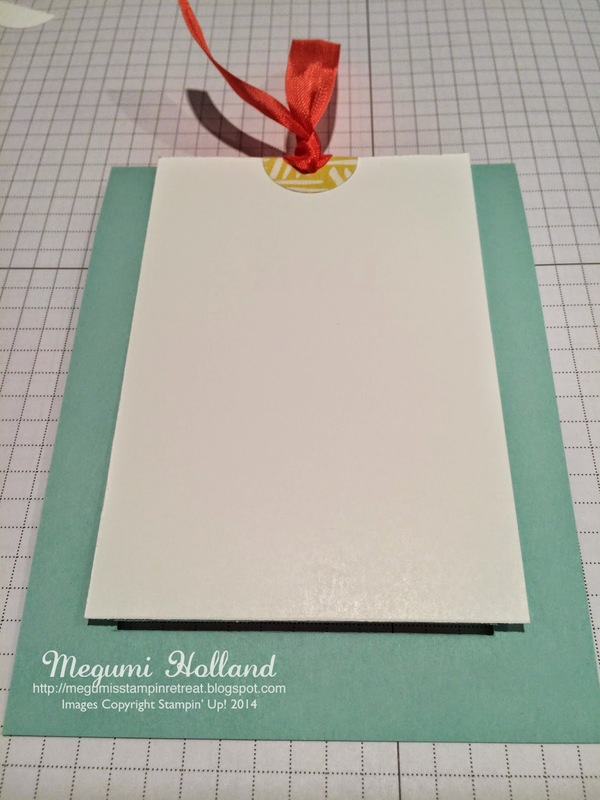 Move your card stock to the 3" line and score between those two cut lines (from 3/4" to 3 1/2"). Take your card stock out and flip it around. Line it up with the 4 1/4" and score between those two cut lines (from 3/4" to 3 1/2"). 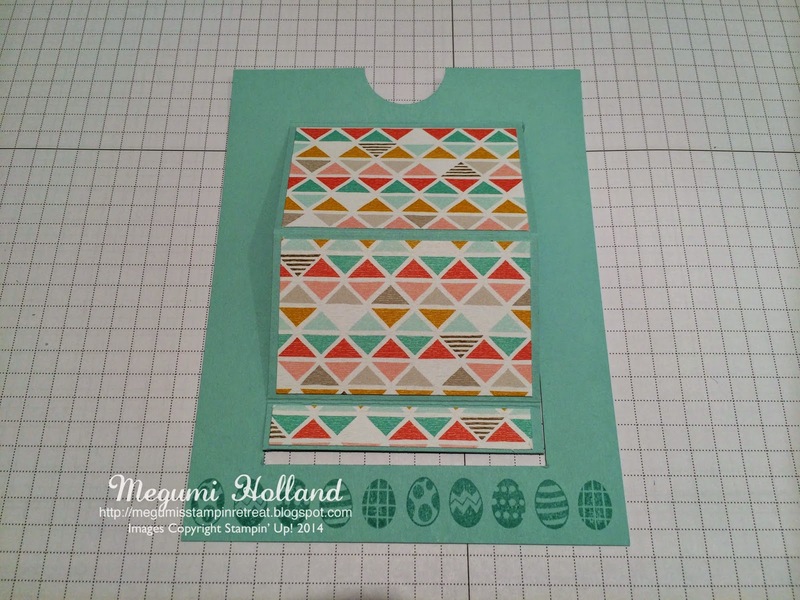 Move your card stock to the 4 3/4" and cut between those two cut lines (from 3/4" to 3 1/2"). Your card front should look like this. 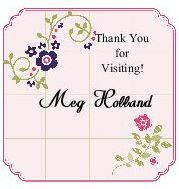 Hold your card front and back together and punch out the top center of your card stock with the 1" Circle Punch as shown. Stamp the egg image on the bottom of your card front. Adhere the patterned paper as shown. Stamp the greetings with markers as shown above. 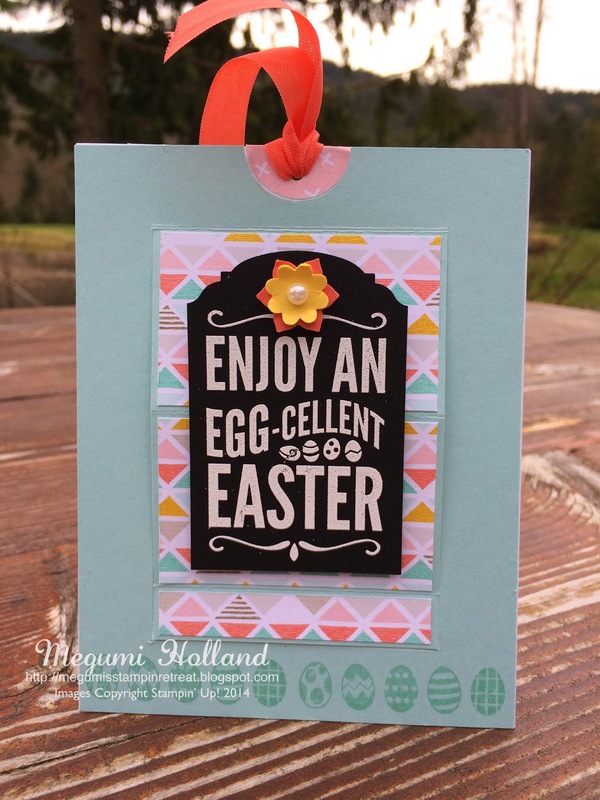 Using the 1" Circle Punch, punch out patterned paper and adhere to the top of your slider. Add a ribbon through and secure. On the back of your card front, apply Sticky Strip as shown below. This is where you need to adhere your slider. 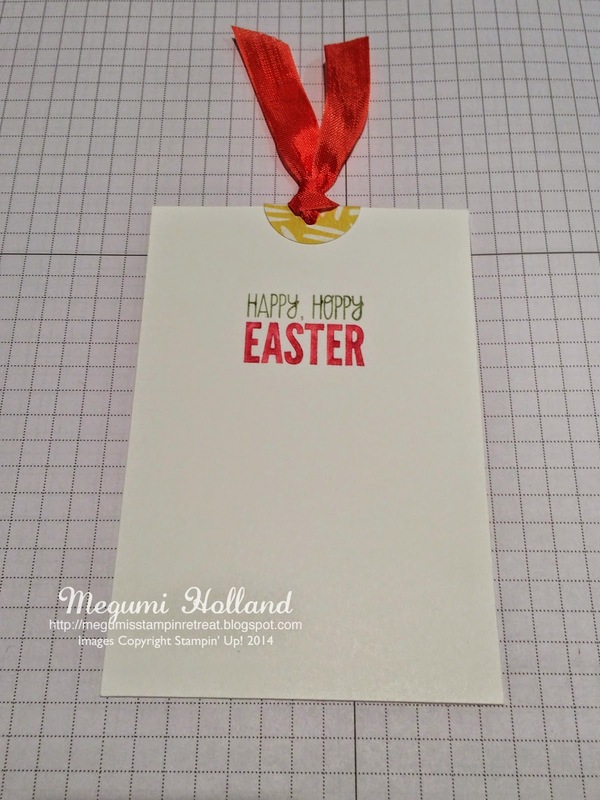 Apply Sticky Strip on the left, right and bottom of the back of your card front. Adhere to your card back.